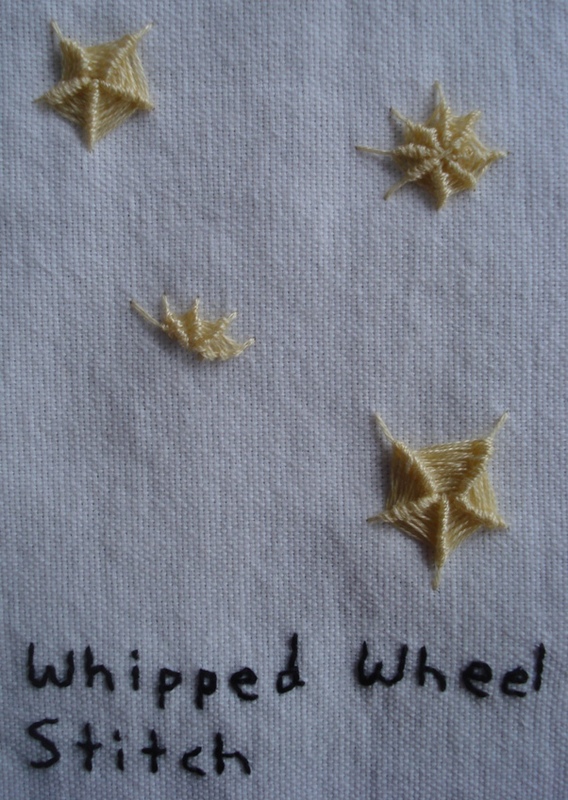 The stitch for week 11 of TAST is the Whipped Wheel stitch . 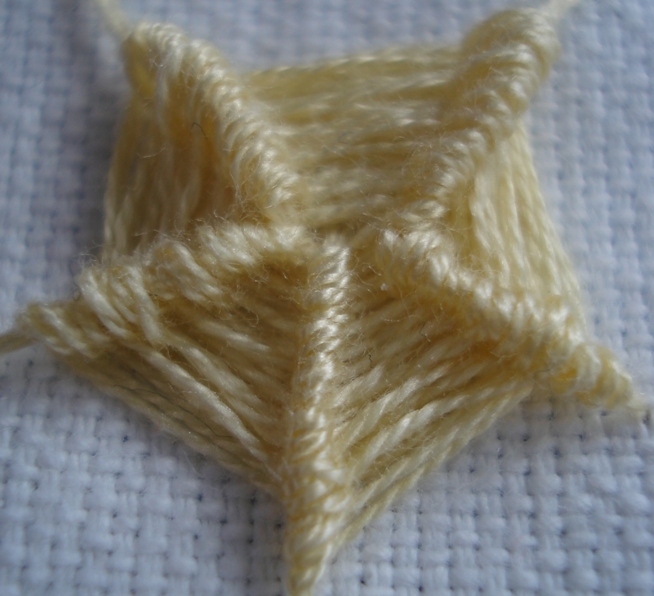 Click on the image for a larger view.When I first looked at Sharon’s description of this stitch, I thought “Oh no!”. The Whipped Wheel was new to me and I did struggle. The online videos that usually help me were not as much of a help for this stitch. It seems like a simple pattern of whipping around but it took me many tries to somewhat get it. I persisted and ended up with a simple page for my TAST 2012 sampler book. I wanted to stitch a shell and tried to stitch a half wheel but struggled with the pattern. In addition to understanding how to work with this stitch, I think that tension and the length of the base stitches are important. Wow your color on the wheel is lovely. Congratulations on finishing this weeks TAST. I live in Australia although I am American, There is a time difference but I would be willing to help as much as I can. my skype name is akinaustralia you can also find me as kathy in Nelson Bay Australia. If you send me a friend request, Ill add you to my Skype contacts.